Idli, the ever popular south Indian breakfast dish, has a universal appeal. 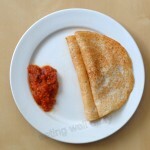 It is considered much healthier over dosa, which is a crepe form made with the same batter. 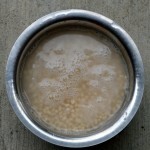 The traditional steamed rice and lentil cake, however, is still high in refined carbonydrates, as the ratio of white rice to lentil is usually 4:1. Hence, a whole grain version is called for. 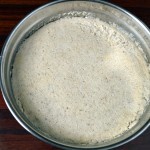 Making good idli batter needs fine grinding of the lentils and proper fermentation in order to get nice fluffy cakes. 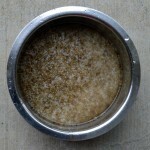 Almost every south Indian household will have a wet grinder dedicated to make fine batter of soaked grains. This is what I have. 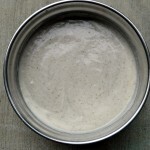 In the absence of one, the batter can be prepared in batches with a very good blender. One also needs stainless steel idli racks that can be purchased at an Indian store or online. Here’s my version of making a large batch of batter that I use to make multigrain idlis for 2 days in a row. 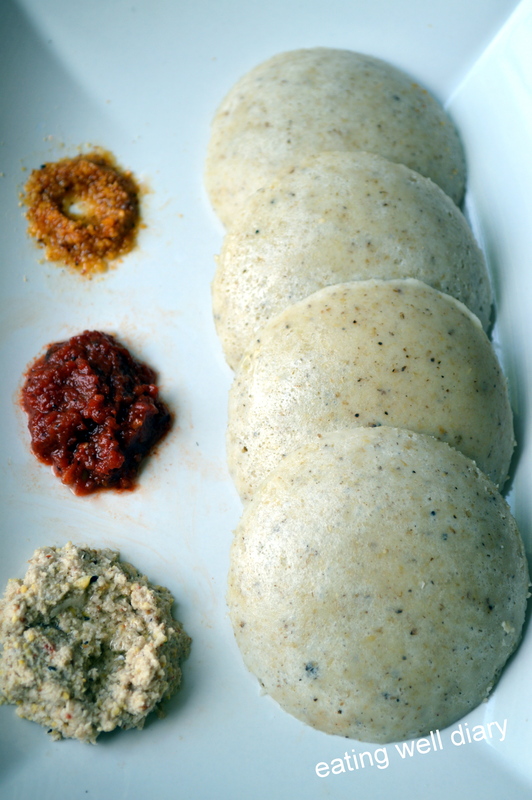 Idli is served with any spicy chutney , a special south Indian spice mix called molaga podi, or sambar. If the batter still remains, we make dosa the 3rd day. Yes, we never get tired of these! I’m joining my friends at Angie’s Fiesta Friday #71, where I hope co-hosts Laurie and Jhuls do not mind me bringing this breakfast dish long after the party started! 1. Soak rice, brown rice, millet for 8 hours or overnight. Soak lentils separately in water for 4-8 hours. 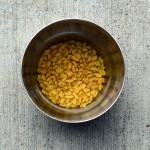 Soak fenugreek seeds separately in warm water for at least 4 hours. 2. Drain water from whole grains. 3. Grind lentils + fenugreek in a wet grinder or good blender until VERY SMOOTH. 4. 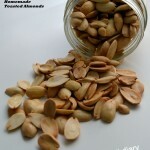 Grind grain mixture along with quick oats with additional water into a smooth mixture. 5. Mix batters and stir in salt in a large mixing bowl, close lightly and allow to ferment in a warm place. I use my oven with the light turned on. This takes 12-24 hours depending on the outside temperature. 6. After the batter has fermented and developed a slightly sour taste, mix lightly and spoon into lightly greased idli plates. 7. Steam in a steamer or pressure cooker for 10 minutes or till there is a smell of cooked idli in the steam. 8. Wait till the idli plates cool sufficiently in order to remove the idlis without sticking to the bottom. Use a wide spoon to carefully remove them. 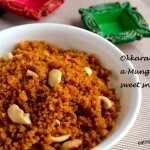 Serve warm with chutney, sambar or molaga podi. 1. This recipe can be halved for a first trial. 2. 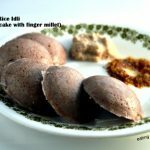 The batter makes great idlis when it is fresh. If it stays for more than 2 days, it may make denser idlis; then dosa can made with it. This is a great healthy breakfast option! Hey, Namrata! So glad to see you again. Missed you, girl. Thank you! I’ve not heard of the filipino version, but idli is popular and available in most Indian restaurants. Do hope you get to taste some. Thanks, Jhuls. Yes, I could take idli in any meal too! 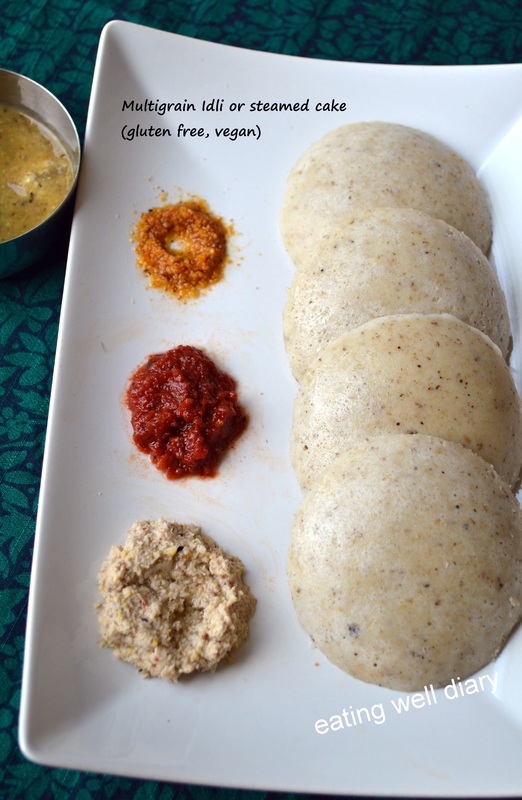 Idly as such is a healthy steamed food and adding all the other grains make it Super-Idly! These look so pretty and sound very delicious! Letting it ferment until it smells a bit sour sounds like such an interesting step that must change the flavour of the batter a bit! I’ve never tried idli, but to me it does sound a bit like the Chinese sweet fermented and steamed rice cake which has a lovely springy texture. This is great. As a Registered Dietitian and Certified Diabetes Educator, I see quite a few Indian patients-this would be a great recipe to share with them given the benefits of high fiber, whole grains that I am constantly discussing on my blog and otherwise. Thank you so much for visiting, Sangeeta. Very glad that you like this recipe. 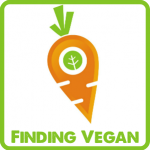 I love the philosophy of your blog too; look forward to learn from you!